The cost of the Taj Mahal worked out to Rs 4 crore, 18 lakhs, 7 annas and 6 pies only. The original mausoleum stands in the middle of the square white marble plinth which measures 328 feets,3 inches and is 19 feet in height from the chameli farsh. The tapering minarets of the taj which measures 132 feet in height, at an average ,are three storied each ,seperated by a balcony between each one of them. Click here to know more Taj Mahal Facts. 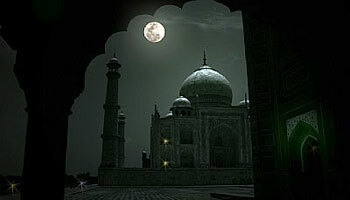 Return from Agra Blog Page to Taj Mahal India Travel Homepage.